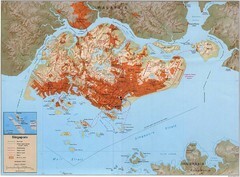 Map of the Singapore Botanical Gardens. 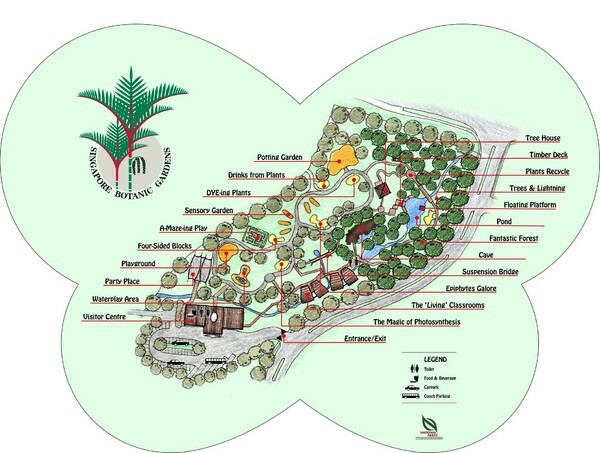 Shows the contents of the garden with locations of parking, bathrooms, and concessions. 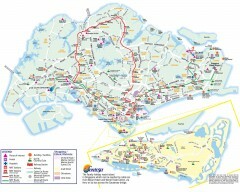 The easiest way to travel around Singapore, even from the airport! 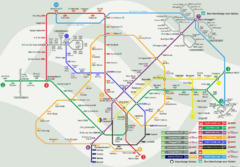 Diagrammatic map of the Singapore metro system. 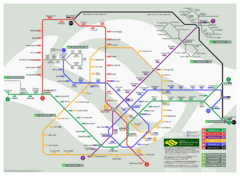 Map of Singapore MRT public transportation routes and stations.